Don’t avoid the Jineteros and Jineteras: they are fun, and you can’t avoid them anyway. The whole Internet and all travel guides are full of warnings: Avoid the Jineteros and Jineteras because they are trouble! Beware! Warning! Run away! As you might have noticed, my opinions differ from the mainstream point of view. That’s because I’m a resident in Cuba and have more experience with Cuba than the average blogger/journalist/travel guide writer/tourist that spends three weeks here. First came the Jinetera (feminine). It all started with Fidel proclaiming in a speech that Cubans did not need to earn extra money by getting involved with tourists. The state took care of everything, so the women that were getting involved with foreign men did so for their pleasure. They rode the foreigner just for fun. Hence the term Jinetera which translates in jockey in English. In the same speech, he proclaimed that Cuba has no prostitution, but if there were prostitutes in Cuba it would be the best-educated prostitutes in the world! He was right and wrong at the same time. Yes, prostitution does exist in Cuba and yes they are well educated for the most. The Jinetera was born. 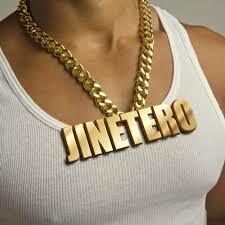 You can spot jineteros by their golden chains! This couple evolved. The definition of a Jinetera was ‘a prostitute’. Now a Jinetera is somebody that somehow makes money with tourists. And since making money in Cuba is almost always illegal… And we believe that people that do illegal stuff are bad, Jineteros are bad. On top of that, we think that our way of doing things is good. Most people now define a Jinetero as a street hustler. But he is much more than that! The ones on the street annoying tourists are just the top of the iceberg. Those bastards! Well, do you think booking.com does not earn money? Airbnb is a super Jinetero! They not only charge a 15% commission but in Cuba also employ Jineteros that find the houses for them (and get a fee for that). On top of that, that 15 % never make it to Cuba. It disappears into the pockets of a multinational. Did you ever meet an unfriendly car salesman? Did a waitress ever show her real feelings to you? Isn’t it standard practice in the West to act friendly to make money? Well, what’s your job? How do you make money? Does a nurse tell a patient that she’s only helping him because of the money? (She is… If the hospital stopped paying her, she would find another job.) Does the friendly car salesman tell you about his commission? Our book is also for sale at Amazon, do they tell you they pocket 50%? 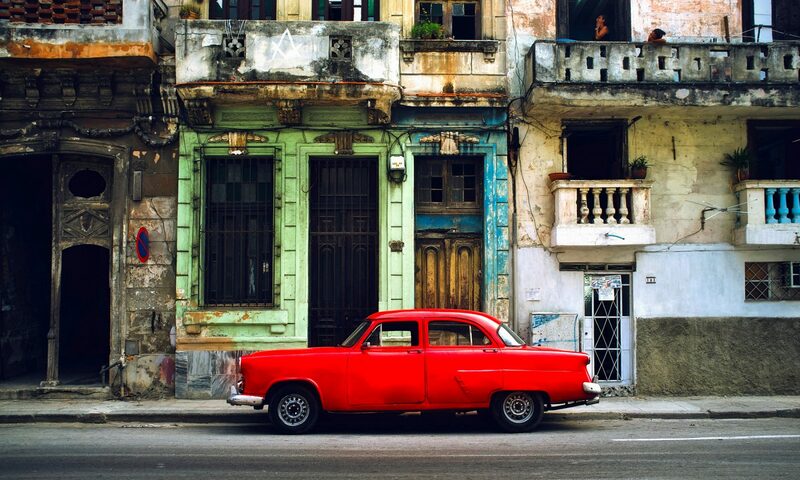 We consider making money as normal, but when a Cuban does it, it’s suddenly wrong. Or is this a Jinetero? Will not even go there… We have whole industries devoted to that. So do your supermarket, real estate broker and even the nurse. Everything would be cheaper without them. Everybody with a paycheck drives up the price. I would use the word propaganda here if that were not a communist monopoly. What a Bullsh**. Yes, sometimes street hustlers can become aggressive (verbally) but almost never (as in very, very rarely) violent. Very rarely! Cuba is incredibly safe! ‘Don’t let a Jinetero find you a place to stay, ask the owner of your casa particular to book in the next town.’ As if he does not get a commission for that. He’s just a Jinetero with a Casa Particular. They now pay each other by topping up their phones after a reservation. ‘Tell them to go away. Avoid them!’ It’s simple: You can’t. Everybody is making money on the side of his real salary (why and how in our book). So you would have to avoid everybody. ‘Don’t dress as a tourist so they will leave you alone.’ Cubans can spot a tourist from a mile away. It does not matter how you dress; they will spot you! ‘Don’t go to the tourist areas.’ ??? HUH? Better not go to Cuba if you don’t want to see it. Forget about all that crap. Jineteros are no criminals! They are people like you and me, trying to make ends meet. Often they are intelligent and I have my best friends among them. We are jineteros too… We lure you in with a website full of usefull information and then want to sell you a book with even more usefull information! Aren’t we bad! How to handle Jineteros and Jineteras CubaConga style? Feel at home and behave like you’ve been in town for a few weeks. Learn some answers that will convince them right away that you are not a stupid tourist. It’s easy. You will notice right away that their attitude changes. They will tell you that ‘you are a Cuban now.’ Respect you and suddenly it’s about the fun, not the money. ‘Hi my frien, where you from?’ Some good answers: Marianao or La Lisa (both respected rough neighborhoods in Havana.) La luna (the moon)… indicating that you know the game and want no part of it. So relax! You’ve read our book you know the tricks; nobody can ‘get’ you… Relax and enjoy! Acting as if you belong means that you don’t do things you would not do at home either. If you walk to your local shopping mall and somebody whispers: ‘he man… Want to buy a car?’ or ‘Need some dope?’ or ‘Buy me a drink friend.’ What do you do? I suggest you do the same in Cuba. You can even relax more if you’ve read our book… You know the tricks and master the game… so enjoy! Enjoy Cuba and don’t worry about the Jineteros! Want to rent a car? Maybe think again, there is a better option. Going in a few weeks and can’t wait. Todo estará fresa! :-)… indeed todo estare fresa with that mindset! When you accept the services of a jinetero you already know that it is a business. The worst of the scams is the heart. A friend bordered suicide by a guy named Javier Cabrera Jiménez. You must be 40 already. He is tall and very flaccid. But what does not have a body, he has a gallant. 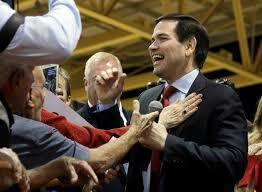 And it is not the typical Cuban who speaks and speaks, no. He is phlegmatic, but every word he says is loaded with beauty, depth, his experience as a bookseller has given him many resources, and to that is added that he is a musician and a poet. To conquer it speaks of the platonic hyperuranio, it mixes in its ravings verses of Martí. Apparently he is doing very well selling collection posters in galleries of Old Havana, and he is not one of those who wants to leave the island. It was painful when they gave my friend the proof that the Havana prince had only been a scammer, and that those precious letters in which he seemed to be his very soul spoke only changed recipients. Love this article. It’s Few days since I arrived from my backpacking Cuba. Didn’t have any problems with cuban jineteros. Were easy going and not too pushy after I told them No, thanks. But as well I had my cute, polite, smiley no thanks and made joke with them. And didn’t take them as bad thing, just new experience. Was my first time in Cuba and realize how most of people exaggerate about situation there. Is all wright as it is and no different from other ways of hustling as you mentioned them and how in my country is done as well. ?? ?